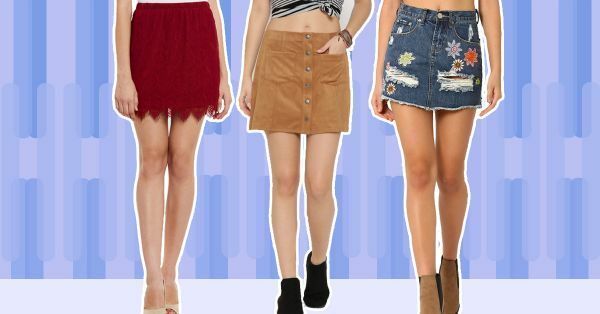 13 Oh-So-Cute Mini Skirts Worth Waxing Your Legs For! After the midi skirts and the culottes, hemlines are rising again and mini skirts have made a comeback! They’re currently a fashion essential and they are EVERYWHERE! Wearing a mini skirt is all about the length - whether during the summer with trendy flats or during the winter with thigh-high boots! So, for a fashion-forward look, add one of these to your closet. Bringing the 70’s suede vibe back, this young and fun button-down skirt will add playfulness to your outfit! You can choose white sneakers to keep your look casual or style it up with an off-shoulder top and heels! 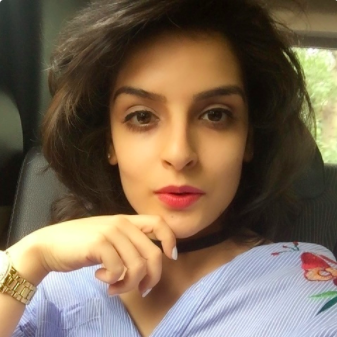 Here’s the perfect way to wear one for a dressy evening! This metallic skirt will add the oomph factor and make you stand out in the crowd! Want to add drama to an ordinary outfit? This floral embroidered mini skirt will do the trick! Pair this with heels and make a fashion statement! Remember those structured pleated skirts you wore to school? They’re currently so in style! Make them a part of your preppy fashion style. You can opt for a formal look by pairing it with a tucked-in shirt! Two trends in one skirt? How cool is that! Go for this chic asymmetrical paper bag skirt with ruffle detailing to look glam! Keep it cool and summery in this white ruffle skirt! Head-to-toe white always makes heads turn! You can opt for an undone white shirt for a lovely summer look! You can always use bold stripes to accentuate your body structure. And we love the sleekness of this trendy mini skirt! You can keep it simple by pairing it with a solid white tee! Love the athleisure trend but don’t know how to style it? Here’s the perfect solution! This chic overlapping skirt with a slogan tee and white sneakers would be a delightful way to carry the sporty look! The distressed denim trend is the IT thing to be seen in! Wear it as a stylish mini skirt with embroidery and be different from the rest. It’s time to be glamorous and dramatic! Put your most stylish foot forward in this sassy knotted skirt and get heads turning. It’ll make you feel like a true show stopper! A must-have for all the fashion lovers! Add this camo mini skirt to your wardrobe to give it diversity. For a perfectly styled look, pair it with a block coloured top and a denim jacket! Pretty florals and slits are here to stay! This flirty design will look amazing with a crop top and strappy sandals. The perfect colour and print to wear during summer. A pencil skirt is always elegant but a lace one does the trick! Adding this will instantly transform your outfit from bland to glam! Move on from the midis and culottes, it’s time to adopt the mini skirt trend!